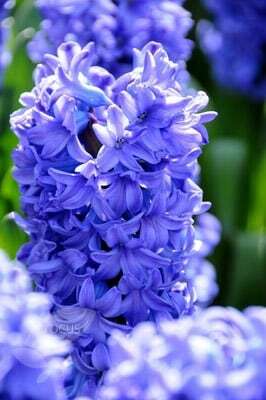 Porcelain-blue, star-shaped flowers crowd the upright flowerspike in spring, filling the surrounding air with their sweet perfume. A wonderful addition to pots and window-boxes, it also looks lovely planted in clumps or drifts throughout the border. Plant it near a pathway or entrance, so the scent can best be appreciated. Quality bulbs at sale prices, cannot go wrong! Plant individually, into the cool dark, select bulbs of same height to pot up for displays. Keep those you are still to use on the dry side. Months of glorious scent if you stagger planting.